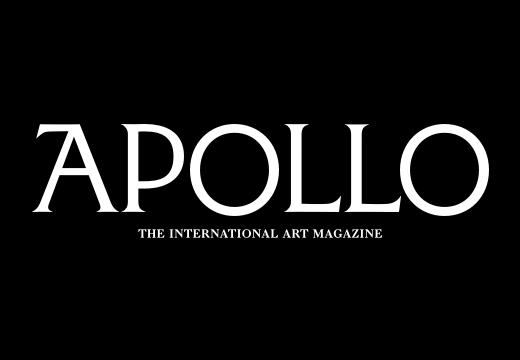 ‘I am a creator of rules,’ Alighiero Boetti once said of his working method. ‘And once I’ve created these rules, these games, these mechanisms, I can play or make other people play.’ The current exhibition of his work, in the beautiful white spaces of the Cini Foundation in Venice, has a conceptual clarity that is entirely in keeping with the Italian artist’s philosophy. ‘Alighiero Boetti: Minimum/Maximum’ presents the smallest and largest works from each of the artist’s major series. It’s a simple set-up that allows visitors to focus on the abstract creative mechanisms governing their creation, while also emphasising the intriguing differences wrought by scale, and the accidents of each work’s realisation. Born in Turin in 1940, Boetti came to fame in the 1960s at much the same time as the Arte Povera movement, and has often been stamped with that label. In fact, while his work is made from a variety of materials – including the everyday and industrial – his primary motivation was always conceptual. Boetti’s work is based around the creative play of oppositions: the original and the copy; the multicoloured and the monochrome; the large and the small. His best-known works, a series of Mappe textiles each featuring a map of the world, were made over many years in collaboration with Afghan artisan embroiderers, and question the distinction between solo and communal work. In 1973, he even renamed himself Alighiero e Boetti to signal his twinned personalities. Inspired by this renewed appreciation for the artist, who died in 1994, Barbero has collaborated with the private gallery Tornabuoni Art to source major works from public and private collections Among the exhibits are examples of Boetti’s biro-paintings, executed by teams of friends; his aeroplane pictures; his camouflage paintings; his densely woven tapestries of letters, or Arazzi, which hide messages in Italian and Persian; and his postal works, achieved by sending letters home from all over the world and presenting them – complete with the postmasters’ random frankings on his carefully arranged patterns of coloured postage stamps – as works of art. It is curious to see how the same rules can lead to works with quite different emotional and aesthetic impact, depending – in this case – upon the scale. Two of the highlights, however, are monumental. The Boetti family has loaned the rarely seen and mesmerising Estate 70 (Summer 70), a vast roll of paper onto which Boetti affixed thousands of coloured dots in complicated patterns. It unfurls across one entire wall, a memorial to the time it took to make it. 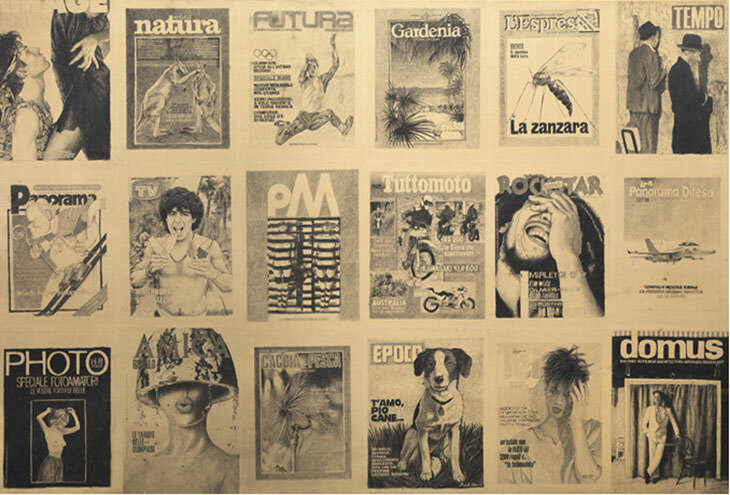 At the end of the main exhibition hangs the enormous Copertine (magazine covers) from 1984, for which Boetti and his assistants traced magazine covers in pencil, reversing the process of mechanical reproduction, and requiring the visitor to focus quietly on images that would normally be viewed only briefly before being thrown away. By this time you are dizzy with thought about what is art, what is life and what is real, and it comes as no surprise that Boetti once put his own head in the photocopier in pursuit of answers, or more questions. No-one can gainsay the liveliness of this artist’s mind and the unstinting flow of his creative ideas. ‘Alighiero Boetti: Minimum/Maximum’ is at the Fondazione Giorgio Cini, Island of San Giorgio Maggiore, Venice, until 12 July 2017.